BTC – An international day of protest of news and public affairs handling of the Wikileaks incarcerations (Bradley Manning, Julian Assange) is rumored to take place at US and/or British embassies worldwide tomorrow THURSDAY 12-16-2010. FAIR news association peition here. Partial defunding of the Real ID Act aggravates isolationists who want to market your identity data with as many “immigration” databases as possible. Ahh-CHOO! *SMART DUST* A double-edged public technology for service or data/identity surveillance. TRUE: Creepy Huxley driven Patriot app available on iPhones to iSnitch on your neighbor. Bring it with you to Wal-Mart! BTC – For many years now, Rep. Ron Paul has been the most consistent congressional leader speaking against the very persistent nonsense that everyone in America needs a biometric ID. When you hear business leaders crabbing that the opposition argument to national ID “is getting old” over that little matter of common privacy- I really believe we are really getting somewhere. Proponents of the REAL ID Act continue to make the preposterous claim that the bill does not establish a national ID card. This is dangerous and insulting nonsense. Let’s get the facts straight: The REAL ID Act transforms state motor vehicle departments into agents of the federal government. Nationalizing standards for driver’s licenses and birth certificates in a federal bill creates a national ID system, pure and simple. Having the name of your particular state on the ID is meaningless window dressing. Federally imposed standards for drivers’ license and birth certificates make a mockery of federalism and the 10th amendment. While states technically are not forced to accept the federal standards, any refusal to comply would mean their residents could not get a job, receive Social Security, or travel by plane. So rather than imposing a direct mandate on the states, the federal government is blackmailing them into complying with federal dictates. WASHINGTON – Based on reports from Liberty Coalition mover, Michael Ostrolenk, Representative Ron Paul has picked up a legislation to comprehensively repeal the Real ID Act of 2005 with no substitutions. Several privacy, civil liberty and technology coalitions increased discussions about the Real ID Act calculating efforts towards a comprehensive repeal late last year. A draft was hatched during that time. Congressional leaders were solicited in order to seek a repeal. 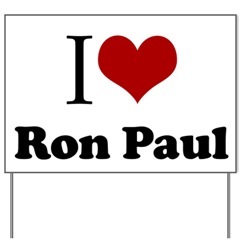 Rep. Ron Paul was the first to step up to the plate. More news on coalition based developments to come. Ron Paul: Independence Day may put you on a "list"
It’s best during times of moral insanity to be politically ambidextrious, if you can. It’s challenging, but you need to use both hands to get the hardest work done. From the respective right, an outburst worth a re-run. We need to see that again… Keep your chin up.